Need even more comfort while you sleep? If the answer is yes, there’s a pillowtop mattress with your name on it. A pillowtop mattress is pretty much what it sounds like – a bed with an extra layer of coziness added to the top surface. These beds are the perfect choice if you want a touch of additional softness. Another nice thing about pillowtop mattresses is that they come in many different comfort levels. You can get a plush one or a firm bed, depending on your preference. Firm pillowtop mattresses are ideal for those who enjoy a firm sleep space, but don’t want to sacrifice the feeling of sinking into a comfortable bed. Meanwhile, plush pillowtop mattresses add extra padding on top of an already satisfying bed – so you feel like you're sleeping on a cloud. 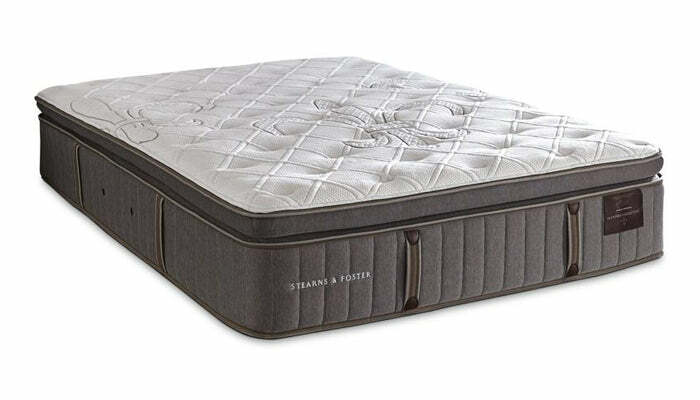 Pillowtop mattresses are the best way to add an extra-plush feeling to any bed. With our wide selection, you’re guaranteed to find a pillowtop mattress you'll enjoy returning to every night.